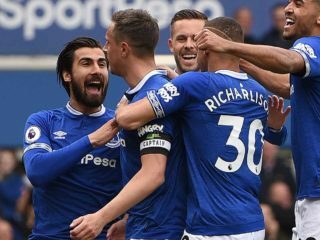 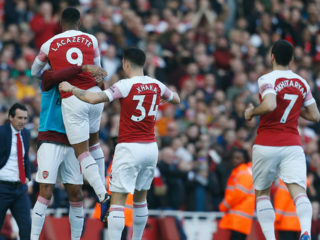 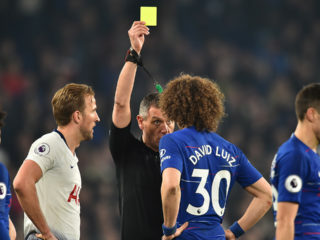 Arsenal were haunted by their dismal away form yet again as Phil Jagielka gave Everton a 1-0 victory that dented the Gunners' Premier League top-four bid on Sunday. 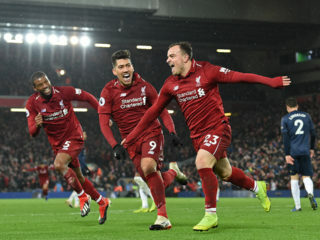 Manchester City stormed back to the top of the Premier League with a 3-1 derby win at home to Manchester United on Sunday as Liverpool maintained their title challenge to the champions with a 2-0 victory over Fulham. 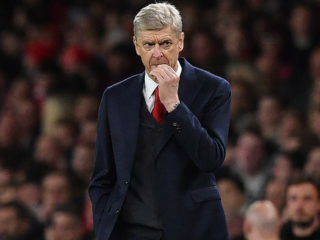 Arsene Wenger insists Arsenal cannot afford a dip in concentration in Thursday's Europa League quarter-final second leg against CSKA Moscow despite holding a 4-1 advantage in the tie. 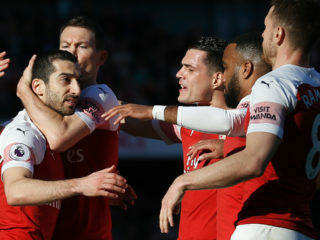 Henrikh Mkhitaryan has been at Arsenal for less than two months, but that hasn't stopped the fiercely-driven star from ruffling a few feathers as he tries to lead the Gunners to Europa League glory. 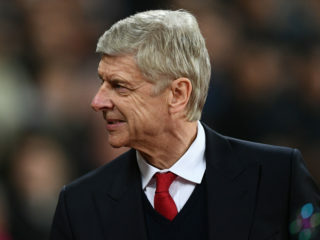 Just days after Arsenal were lurching towards another crisis, Arsene Wenger can suddenly look to a brighter future thanks to a revitalised attack spearheaded by Pierre-Emerick Aubameyang and Henrikh Mkhitaryan. 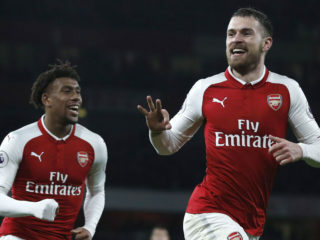 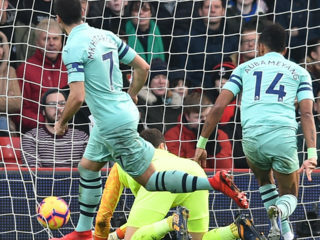 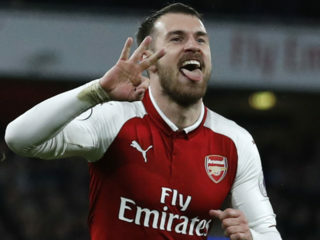 Arsenal's record signing Pierre-Emerick Aubameyang scored on his debut and Aaron Ramsey hit a hat-trick in a swaggering 5-1 rout of woeful Everton on Saturday.